These are exciting times of change and development at Holy Mary! 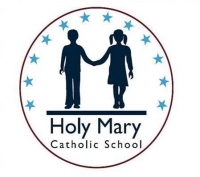 We are currently a British catholic school in Madrid for boys and girls between the ages of 2 to 16. But due to pressure from our pupils and parents, who are highly pleased by the educational provision currently offered by our British early years, primary and secondary sections, in September 2018 we will launch a new pre-university section (VIth Form) to cover the final two years for 16-18 year olds within the British education system. In September 2018 our first set of Year 12 pupils will begin their journey towards the completion of a set of Advanced Level subjects (A levels), and from September 2019 they will begin their Year 13 and sit their final A level examinations in the summer of 2020. With their A level certificates our pupils can apply directly to top UK universities including Oxford, Cambridge, Imperial College, UCL, Edinburgh, and LSE, and top public and private universities in Madrid including ICADE, Cunef, Instituto de Empresa, Autónoma, Computense, and Politecnica. The options are varied and plentiful! Therefore our pupils will receive detailed personalised university and careers guidance from the moment they complete their Year 11.